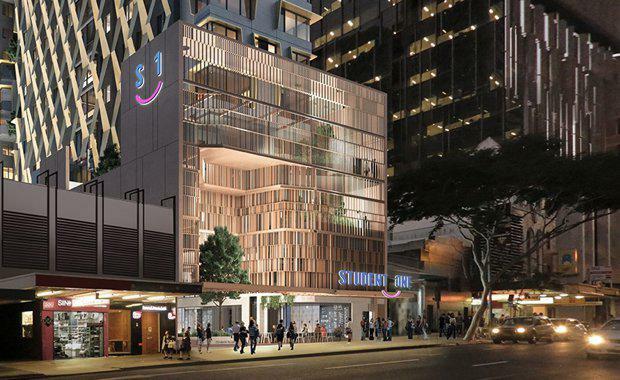 Student accommodation provider Student One has been granted Development Application approval on a $150 million two-tower dedicated student residence, designed by Arkhefield Architects, at the former Elizabeth Arcade site in Brisbane’s CBD with construction to commence in July 2016. The 30,000 square metre development with street frontage on both Elizabeth and Charlotte Streets is the third city-centre student accommodation residence being constructed by Student One – bringing its managed scale to 2,400 beds by 2019. The company’s first residence, the $110 million 687-bed Student One on Adelaide Street, will open its doors from 1 July 2016.